Boch Toyota South began working with Mittcom Auto in 2004. Most recently their goal was to drive traffic and increase sales for their new Toyota facility. This location has become one of the largest volume Toyota dealerships in all of New England. 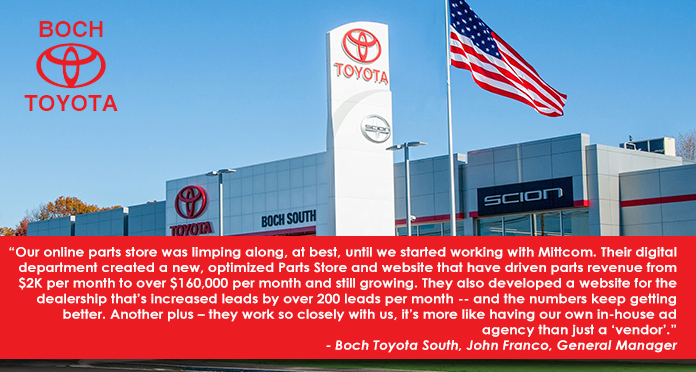 We leverage all media platforms for Boch Toyota South to ensure that we have every area covered.